Mamamoo singer Solar takes center stage in a new music video teaser. The 27-year-old K-pop star shows off her sultry side in a clip from Mamamoo's forthcoming "Do It Yourself" video. The video shows Hwasa pole dancing in a sun-drenched room. The South Korean singer is also pictured alongside an acoustic guitar player. "#Solar #DoItYourself TEASER," Mamamoo wrote on Twitter. "#MAMAMOO #REDMOON 2018.07.16 6PM." "Do It Yourself" will appear on Mamamoo's EP Red Moon, which debuts July 16. The girl group has also promoted the single with teasers featuring Hwasa and Wheein. 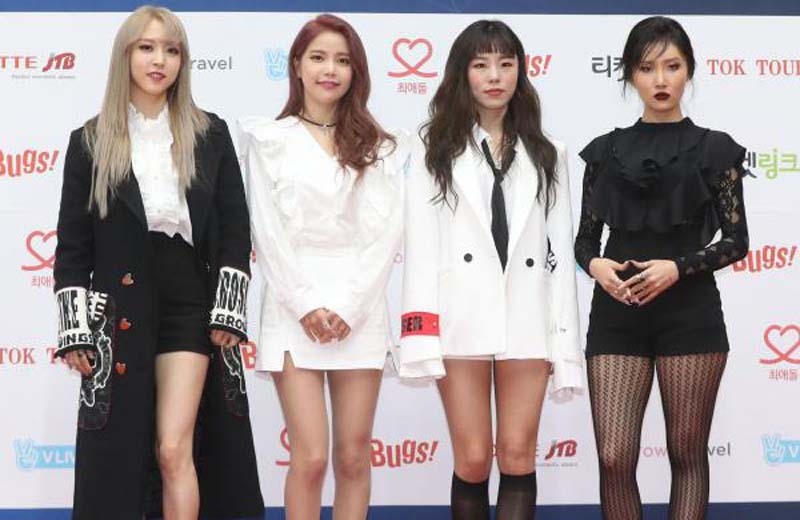 Red Moon will mark Mamamoo's first release since the EP Yellow Flower, which debuted in March. The K-pop stars are known for the singles "You're the Best, "Décalcomanie" and "Starry Night."